I hope everyone had a smooth transition into back-to-school season and is enjoying the heck out of a pumpkin spice something right about now! Now that we are in the "off-season" here in theme park world, (HALLELUJAH! ), one of the very few negatives is that parks generally start closing earlier. So if you are visiting in off-season, what should you plan on doing to occupy your evenings? 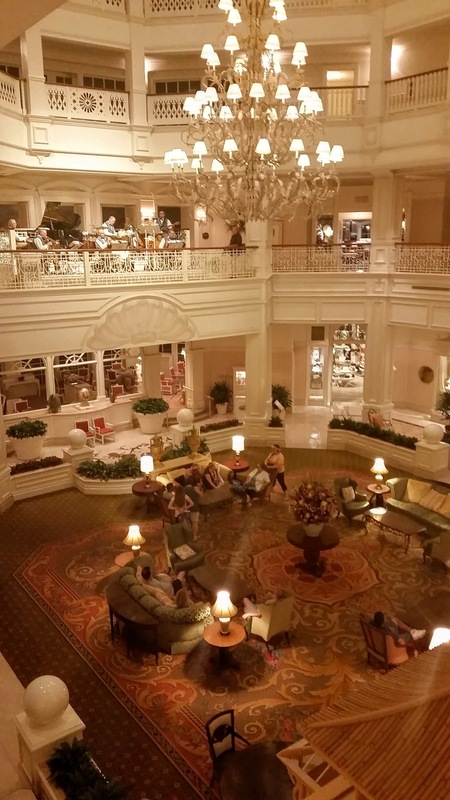 Here are five of my favorite ways to spend an evening, outside of the parks! With so many awesome restaurants on Disney property, you could easily make an evening out of enjoying your dinner reservations. In fact, there are already some meals that include entertainment, like Disney's three dinner shows, The Hoop-Dee-Doo Musical Revue and Mickey's Backyard Barbecue at Fort Wilderness, and The Spirit of Aloha, (known to most Guests as "The Luau"), at the Polynesian Village Resort. 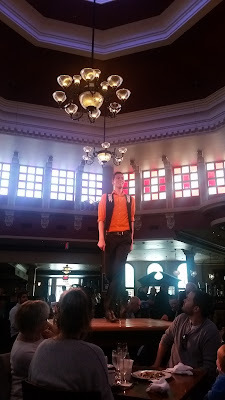 These three shows each include not just your meal, but a fantastic musical, interactive show. They are fun for all ages, but do be aware that the only one that features characters is Mickey's Backyard Barbecue. Speaking of characters, character dinners are available outside of the parks, in the following locations: 1900 Park Fare at the Grand Floridian, Chef Mickey's at the Contemporary, and Garden Grove at the Swan. Kids will love having the opportunity to interact with The Mouse and friends OUTSIDE of "his house." Not into the character scene, but want some entertainment while you dine? Whispering Canyon Café at the Wilderness Lodge offers a goofy, interactive experience. The ESPN Club at the BoardWalk is the best place to catch a game. 'Ohana at the Polynesian has a strolling ukulele player, and hula lessons. Rainforest Café and T-Rex at Disney Springs have amazing scenes around you, with animatronics that come to life while you dine. Sanaa at Animal Kingdom Lodge Kidani Village, offers some pretty unusual dinner companions... giraffes and zebras frolicking just outside of the windows, but in order to see them, you'll need it to still be light out. Once it's dark, it's them who get to watch YOU! 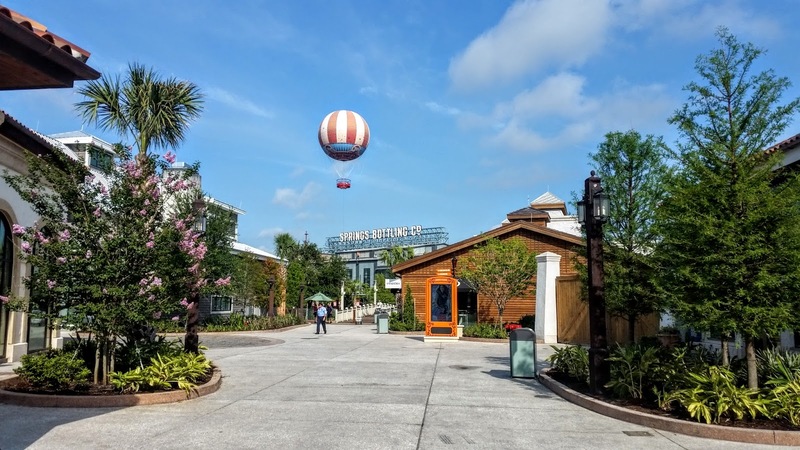 If live music is more your style, check out House of Blues, Bongos Cuban Cafe, The Boathouse, Paradiso 37, and Raglan Road, all at Disney Springs, and all have live musicians onsite. Raglan Road even has Irish Step Dancers! And even if you aren't looking for "dinner and a show", there are so many fantastic restaurants to choose from, you are sure to find something you will love! The agents here at Kingdom Konsultant Travel are happy to help book whatever dining arrangements you would like! 2. Everybody Do The Monorail Hop! 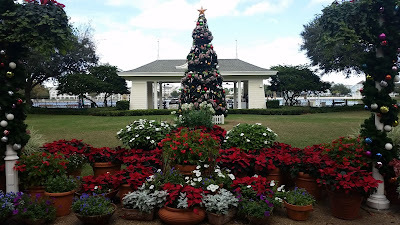 I love visiting the resorts on the monorail line, (the Contemporary, Polynesian Village and the Grand Floridian), especially at Christmastime when they are all decked out in their holiday finest. 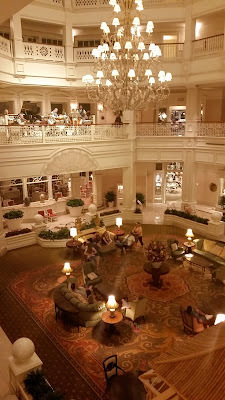 Even if it's not holiday season though, it's fun to see the resorts' different theming, shop in their gift shops, have a cocktail, or check out any live entertainment taking place, like the Grand Floridian Society Orchestra. In fact, many adult Guests have taken to doing a Monorail Pub Crawl, stopping off at the various bars in the monorail resorts. And if you prefer an actual, Disney-orchestrated version of the monorail hop, check out the Highway in the Sky Dine Around option. You get to enjoy 5 courses, at various restaurants in the monorail resorts, and finish off you evening with dessert and a fireworks view! Been there, done that? Check out some of the other resorts! The Swan and Dolphin, the BoardWalk, and the Yacht and Beach Clubs are all within walking distance of one another. The Animal Kingdom Lodge is one of my very favorite resorts to visit, since you can relax on one of the many balcony areas and gaze down at the gorgeous African animals on the savanna. 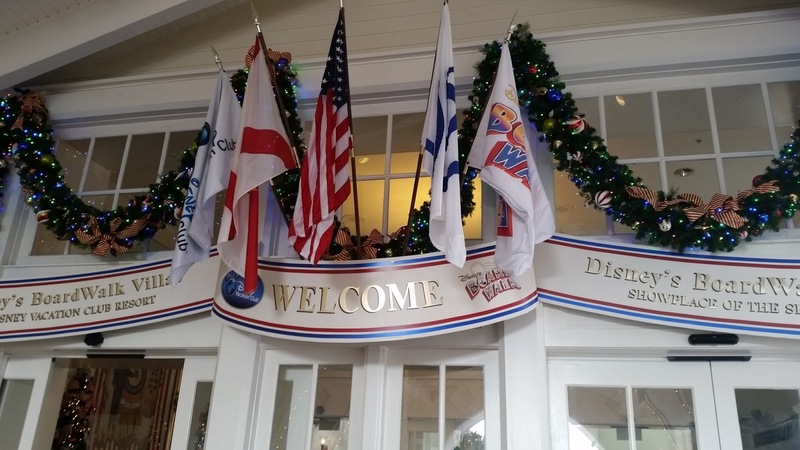 Visiting Disney resorts can provide hours of fun for your family. Just keep in mind that some amenities are reserved solely for Guests staying at those resorts, especially the pool areas. 3. Carriage Rides, Mini-Golf and Campfires (and Movies), Oh My! Both Fort Wilderness and Port Orleans Riverside host carriage rides through some of their quieter and more scenic areas. It's a nice way to have a romantic date night, or to take the kiddos out to do something quiet and fun. Carriage rides are about $45 and each carriage can hold up to 4 adults, or 2 adults and 3 small children. Reservations are recommended, and can be made through your travel agent. 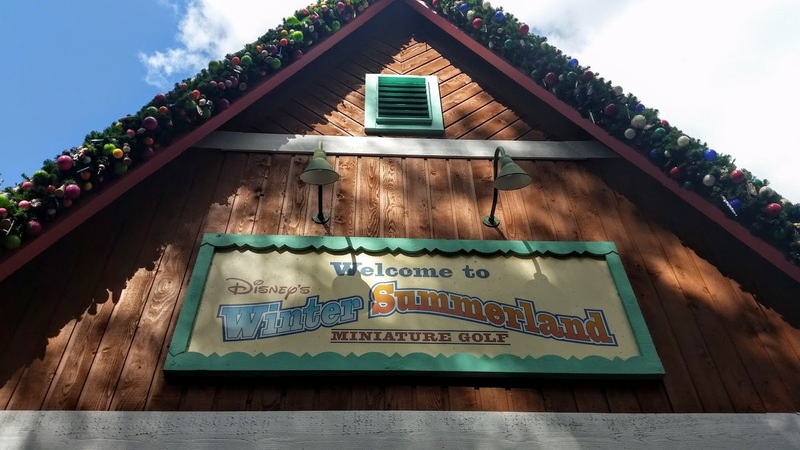 Mini-golf at Winter Summerland is a blast! Disney has two awesomely fun places to mini-golf. Fantastia Gardens is located across the street from The Walt Disney World Swan Resort. There are two courses. One is a traditional mini-golf course, with the characters from Disney's Fantasia creating obstacles for your ball. The second course is called "The Fairways", and it is MUCH more challenging, and not quite as fun for kids, since it has sand traps and water hazards, and no characters shooing your ball along. 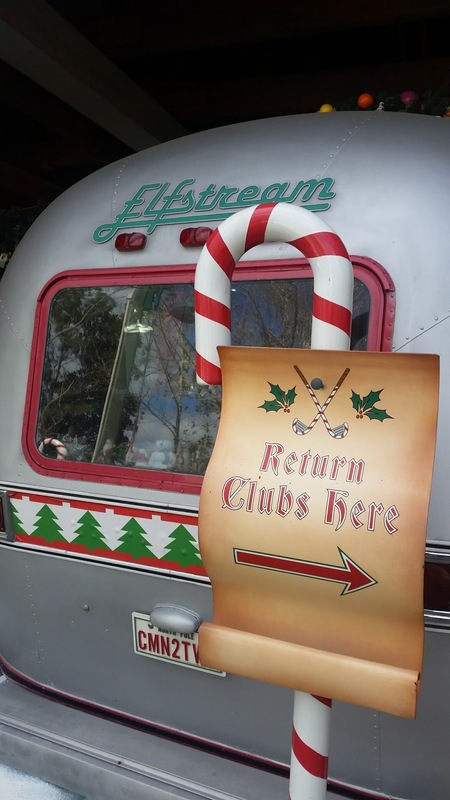 At the second mini-golf location, Winter-Summerland, it's Christmas all year round! One course shows off what it's like to celebrate Christmas in July and has sandmen instead of snowmen. The second course shows Christmastime in the snow, and each hole has a different wintery scene. Unlike Fantastia Gardens, both courses here are equally fun and family-friendly. Over at Fort Wilderness, you can sit around a campfire with those zany chipmunks, Chip and Dale, and sing-a-long to campfire songs, roast marshmallows, and then enjoy a movie under the stars! But that isn't the only place you can watch an outdoor movie. In fact, most Disney resorts offer "dive-in" movies, on a blow up screen, right next to the pool. It's a cool way to enjoy your favorite Disney films. 4. Stroll the Showplace of the Shore, The Vacation Sensation, Where There's Timeless Fun for Everyone! Welcome home to The BoardWalk! The BoardWalk doesn't get nearly the attention that it deserves, in my opinion. If you've never been, it's a gorgeous resort, themed to a 1920's Atlantic City-esque beach hotel. It's nestled along Crescent Lake, right behind Epcot, and directly across from the Yacht and Beach Clubs. It's SO much more than just a resort, though! The property has four great restaurants, Flying Fish Cafe (fine dining), Trattoria al Forno (moderate Italian), The ESPN Club (casual sports bar), and Big River Brewing Works (casual micro-brewery). There are also great grab and go spots, including a pizza window, a fantastic bakery, (the Peanut Butter, Banana and Candied Bacon Pie is a must! ), an incredible ice cream shop and outdoor carts with hot dogs, funnel cakes and more. 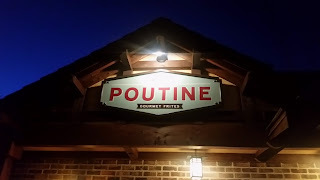 Once you are well-fed, you can be sporty, and take a run around the almost mile long loop surrounding the lake, (or stroll at a leisurely pace, like I do), or even rent a surrey bike for 2, 4 or 6 Guests. Trust me, they are WAY more challenging than they look, but a whole lot of fun! You'll crack up for years, thinking of Auntie Susan getting out and trying to push your bike up the hill. Want to have a drink and enjoy some adult-only fun? Jellyrolls is a dueling piano bar that gets Guests raising their glasses and singing along to their favorite tunes. Atlantic Dance Hall hosts a DJ dance party every night, though it's usually not a very busy place. The building is beautiful though, and the balconies have a great view of IllumiNations at Epcot. Atlantic Dance holds a special place in my heart, since I used to frequent this location in the early 2000's during the swing music revival. They used to host nightly dance lessons and then live swing bands. It was the perfect use of that space. I'm keeping my fingers crossed that swing music will come back around again and revive Atlantic Dance, but I digress. Anyway, if you live to support your favorite team, you'll love catching a game at The ESPN Club, where there are screens everywhere, including in the bathroom stalls. They even host live radio sports shows on some days! And don't forget to check out the brand new AbracadaBar, which is a unique and fun bar, with a backstory involving this place being the hangout of old timey magicians and illusionists. Many of the drinks are served with a bit of magic! If you're looking for something more family friendly, you can stroll the BoardWalk in the hours leading up to IllumiNations, (7-9pm), and catch one of the live performances of magicians and dare devil acts. Then, at 9pm, when it's time for IllumiNations, head down toward Atlantic Dance and stand just outside, to get the best view of the high fireworks from the show. The BoardWalk is a really fun way to spend a night, and not nearly as busy as Disney Springs. 5. Discover the NEW Disney Springs! 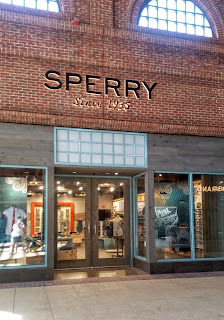 Disney Springs, (formerly known as Downtown Disney), has over 80 different venues onsite of shopping, dining and entertainment for the whole family. Unique shopping experiences are all over, including The LEGO Store, Disney Design-A-Tee, Orlando Harley Davidson and United World Soccer. If you need to do some last minute gift shopping, World of Disney is the largest of all of the Disney gift shops, and there isn't much that you can't find there! Plus the whole new Town Center section is full of upscale shopping from stores like Vera Bradley and Tommy Bahama. Dining options include some of the best restaurants in all of Orlando, like The Boathouse, Morimoto, Paddlefish, Homecoming and Raglan Road. There are all different styles of cuisine and all different types of restaurants to choose from! Grab a Canadian snack, eh? 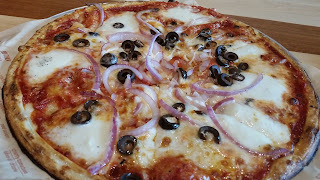 Blaze Pizza is quick, delicious and reasonably priced. 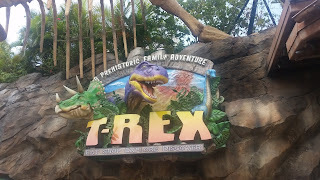 The kiddos will love eating with the dinos. If you are looking for something fun to do while you eat, check out Splitsville, where you can bowl or play pool, as well as catch a tasty bite. Enjoy dinner and a movie at AMC's Fork and Screen Dine-In Movies. Or if you already ate, you can still catch a flick on one of the 24 screens. And coming soon, a basketball lover's dream will come to life when the NBA Experience opens it's doors! Awesome views from the Coca-Cola Experience rooftop bar. And it;'s your last chance to see one of the very best shows I have ever experienced, Cirque du Soleil: La Nouba! This show has been an Orlando exclusive for years and is loved by Cirque and Disney fans alike. Sadly, they'll be coming to a close at the end of 2017, but you can still see it now! Don't assume you're going to see Disney characters, or hear Disney music, though. The show has no tie in to Disney at all, but it is mesmerizing and beautiful and the music will be stuck in your head for weeks later. I should know. I have seen it 14 times, and would go again tonight if someone gave me a ticket. Get one of the best views of Disney property money can buy, at a relatively low cost, when you board Aerophile (previously known as Characters in Flight)... if you can stomach the height, and the swaying. If you've been to Disney at all in the past 7 years, you have seen the huge red and yellow balloon floating above Disney Springs. A ride in the balloon will give you the chance to view miles and miles in every direction and you can take some really fantastic pictures. If you time it right, you may even catch a view of some fireworks! Flights are, of course, subject to weather conditions. Of course, these are only 5 of the many, MANY things you could do. There's always evening spa or salon appointments, resort arcades, swimming in your resort's pool, working out in one of the fitness centers, or just plain hittin' the hay early, so that you can get a nice head start into the parks the next day. (Or to then sleep in late the next morning too. I won't judge.) The point is, parks closing early doesn't mean less fun for you as a Guest. It means a wider array of things to choose from and hopefully getting to experience something new to you. I, for one, am THRILLED when off-season rolls around. To us locals and Guests that are lucky enough to visit in the slow months, It's the mooost wonderful tiiiime of the yeeeeaaarrrr! Enjoy off-season, folks!